While there was no claim of responsibility and the motive was not immediately clear, China in December warned its nationals in Pakistan of plans for imminent attacks on Chinese targets there. 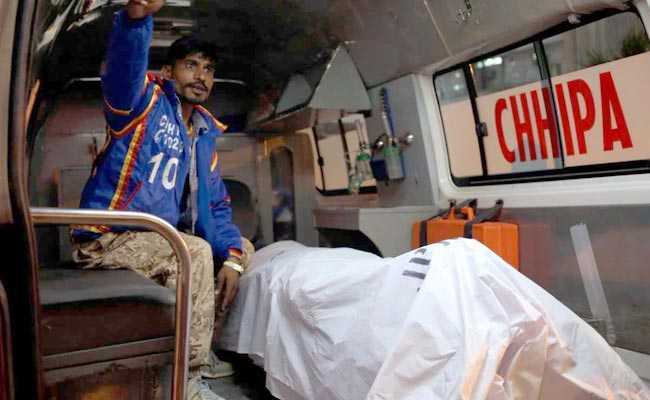 Karachi: A Chinese man working with a shipping company in Pakistan was shot dead on Monday in what police described as a targeted attack in Karachi, police and hospital officials said. Chinese presence is growing in Pakistan as Beijing has pledged $57 billion for the China-Pakistan Economic Corridor, a flagship "Belt and Road" project that first focused on Chinese firms building roads and power stations but is now expanding to include setting up industries. At least 10 shots were fired at the car, and Chen suffered a single bullet wound in the head, police said. "The incident appears to be targeted attack, (it) doesn't looks a mugging," Azad Khan, deputy inspector general of Karachi's south zone, told Reuters. "The victim is associated with Cosco Shipping Lines Co, a Chinese shipping company. We are trying to get further details," Khan added. Another officer, Javed Akbar Riaz, told Reuters that Chen had an employee ID from Cosco. The shipping company could not be reached for comment in Karachi on Monday. ISIS' abduction and killing last June of two Chinese nationals in the southwestern province of Baluchistan highlighted the security risks that have put off many Western companies. Hospital officials said Zhu was admitted in a critical condition, but later died.